In the following article we hope to dispel some of the common myths surrounding cash value life insurance. Although the majority of the clients we serve come here to compare term life insurance quotes, there are times when it makes sense to opt for a policy that builds cash value and lasts your entire life. Cash value life insurance has come into ill repute primarily due to two well-known financial “gurus” Dave Ramsey and Suze Orman. In reality, Dave Ramsey and Suze Orman should be seen for what they really are, entertainers. Now while much of Ramsey’s and Orman’s advice is spot on, especially in regards to getting free from bad debt, other aspects of their advice are too polarizing. One of the main areas they focus this polarizing advice on is cash value life insurance (CVLI). But is CVLI really all that bad? But is Cash Value Life Insurance really all that bad? At TermLife2Go, we believe that everyone’s needs are unique and that there is no “one size fits all” insurance product to meet everyone’s need. There are many life insurance policies, and within those policy types are nuanced products that can be tailored to fit each person’s unique health, lifestyle and needs. We do our best to stay on top of the latest trends in the marketplace. That is why we can offer no exam term life insurance, as well as talk to the major benefits of other types of life insurance policies, including whole life and universal life. Because at the end of the day, the most important thing is helping our clients find the best life insurance, based specifically on meeting your needs and goals. best indexed universal life insurance companies. The following are our current picks for the best cash value life insurance companies and policies. Please click on the company name for more information. The following benefits deal with permanent life insurance cash accumulation and how you too can benefit from this investment vehicle. And just like any vehicle, you have to fuel it with the right type of fuel to get the best performance. If you are interested in talking with an advanced markets life insurance agent that can help craft the best cash value life insurance for you, based on your own objectives, please visit our contact us page. Supercharged High Cash Value Life Insurance. Benefit #1 of cash value life insurance is, well, the cash value.Particularly for a policy that builds early high cash value. Consider the long term benefits of receiving dividends and GUARANTEED rates combined equaling around 5-7% currently on your cash value whole life insurance. You could even see a higher return with a properly designed indexed universal life policy. You can add certain life insurance riders to your policy, such a Paid Up Additions rider, to greatly increase your cash value. As the cash grows in your policy you can utilize the concept of infinite banking and become your own banker. Need money quick for an excellent investment opportunity? What if your credit is bad? What if a loan is difficult to come by? You simply take out a life insurance loan which allows you to borrow money from your insurance company using your cash value as collateral and invest it in various income producing assets, such as depressed real estate or dividend stocks. Don’t see an opportunity worth utilizing your cash value? No problem, let it sit in your cash account as it earns interest and dividends, currently around 5-7% for whole life and potentially higher for an IUL policy. Also, there are many companies that use non direct recognition vs. direct recognition to allow the policy holder to take out a loan on the money and still receive interest and dividends on the policy’s cash value. That way your money is still being put to work! However, one thing of importance to note is that CVLI can be used to purchase investment assets. That is why it is important to not look at what a particular rate of return of an asset class in comparison to a CVLI policy. Instead, consider what would be the preferred method for you: to use your cash to purchase assets, such as real property, stocks, bonds and mutual funds, or to borrow from your policy’s cash value to purchase the same assets, while getting a return on your policy’s cash value simultaneously? Obviously, to obtain these great benefits your policy needs to be structured properly. But don’t worry about that. We are here to help you design the best cash value policy for your situation. And for the parents out there, consider life insurance for kids as a great way to save for their future and educate them about money. So with that long introduction into the #1 benefit, let’s launch into the other 12 benefits of CVLI. Death benefit paid whenever you die. Unlike term life, which has an end date, cash value policies are permanent life insurance, i.e. they last your entire life. You may have heard term life vs. whole life insurance compared to renting vs owning your home. Term life is similar to renting a home. You put money into it but you will never get a return from it. However, whole life is similar to home ownership since you are building equity into your policy via the cash value. Consider what percentage term life insurance policies pay out. Although we cannot find an actual source, a google search on percent of term life insurance death benefit pay out comes up with a unanimous two percent! That means ONLY 2% of term life insurance policies pay out! Now, for those 2% that payout, term life was great. But we should consider the odds of our policy actually paying out when making our decision on what policy to choose. So in summary, benefit #2 of CVLI is that your beneficiary receives a death benefit no matter when you die since the policy lasts your entire life. protecting a child with special needs. An additional benefit is that the cash value life insurance can be used as collateral for a small business loan. Walt Disney used his cash value life insurance to help fund Disneyland! You see, Walt could not find a bank willing to help him out in his venture so he took matters into his own hands and borrowed money from his policy. And the rest is history. Having your own wealth storehouse in the form of cash value life insurance can be invaluable down the road. You don’t need to qualify for a withdrawal or loan from your policy. You simply request your money and the insurance company writes you a check. Further, the financing is private. It does not hurt your credit. No one even knows you have the loan or if you have cash value available in your policy. even stop paying premiums for a period of time. This is a great feature if you hit an unexpected financial road block and find yourself short on money. Your cash value can help sustain you in a myriad of money making ways if your life hits a rough financial patch. Further, if your policy includes dividends, you can use the dividends to pay your premium payments or you can cash out your dividend for a quick surge of money to help you through a rough patch. Access to Cash Value at any time. The life insurance policy’s cash value can be withdrawn tax free, borrowed against or surrendered. Policy Withdrawals: Cash value policies allow you to withdraw your money that you contributed tax free. The key here is that you can withdraw up to your basis in the policy, i.e. the money you contributed. If you withdraw money above your basis it will generally trigger a taxable event. Policy Loans: You can borrow money from the life insurance company using your cash surrender value as collateral. Borrowing money from the insurance company in the form of a policy loan allows for the policy owner to take advantage of buying opportunities, such as declines in the stock market or real estate market. 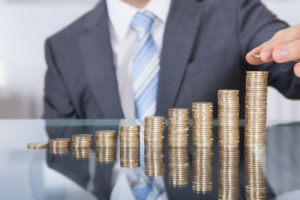 If you are sitting on a large cash reserve in your policy, then gobbling up some investment properties or dividend yielding stocks to create additional passive income might be an excellent decision. Cash Surrender: You can also terminate your policy and receive the life insurance cash surrender value, which represents your total cash value accumulation, minus any surrender charges imposed by the insurer. For policies that contain surrender charges, most insurers have surrender charges in place for the initial 10-15 years of the policy. The bottom line is that your cash value is yours. You have the first right to it over anyone, including the insurance company. Loans do not need to be paid back unless you WANT to pay the loan back. That is right! You do not have to pay the loan back. Why would you take out a loan and not repay it? One reason people do this is because they use the policy loan to supplement retirement income. Since a policy loan is not considered income, it is a great way to supplement your income in retirement and not interfere with other benefits, such as your social security check! Now, although you do not have to pay the loan back, it makes a lot of sense to pay back the loan in the early years. If not, the company will SUBTRACT the loan amount from the total death benefit payout. However, for some people this is no big deal because they were able to put the money from the loan to great use. As time goes by, your policy cash value may grow annually more than you are borrowing from the policy. Therefore, the money you are taking out of the policy is being replaced every year so you are supplementing your income and maintaining your death benefit — a win-win! Cash Value grows income tax free. Cash value life insurance accumulation grows tax-deferred and is one of the best ways to save money. Your CV earnings remain tax-deferred until you begin to draw on the funds or surrender the policy. The cash value portion above your contribution (i.e. your basis) is the portion that is taxable. And if you choose the route of policy loans, your CV will remain tax deferred for life. And get this, Social Security beneficiaries with total income exceeding certain limits must claim part of their Social Security benefits as taxable income. Source. When determining how much of your Social Security you can lose to the IRS, the cash value growth in a life insurance policy does not need to be taken into account. That is because the cash value growth remains one of the only sources of income that does not increase the tax on your Social Security income. And you can take out money from your cash value life insurance and it won’t count against social security tax. Certain cash value life insurance coverage, such as participating whole life insurance companies, offer dividends. Although dividends are not guaranteed, you will find that many companies have not missed paying a dividend for over a hundred years, that means dividends were paid even during the Great Depression! Dividends may be used to pay your whole life insurance premiums. Dividends may be paid out to you in cold hard cash. Dividends may purchase more paid-up insurance for additional coverage and cash value. Dividends may purchase term life insurance for additional coverage. Dividends may remain with the carrier and accumulate with interest. Dividends may be used for paying back a policy loan. Cash value policy dividends are a great tool to grow your life insurance death benefit. If you utilize the power of paid up additions, you will grow your death benefit over your lifetime. That way, your death benefit is at its peak when your beneficiary needs it most—when you die! Often when we talk about cash value, the main product we are focusing on is Whole Life Insurance. But there are other excellent policies available that build cash value, such as Indexed Universal Life Insurance. Please note: If you have read this far, you owe it to yourself to read our article on infinite banking to understand the full value of a properly funded whole life policy with a mutual insurance company. Whole Life is available in level premium, single premium, or as 10 payment or 20 payment. Level premium whole life offers a fixed premium over the entire life of the policy. The policy premiums are structured so that the policy is paid up at different ages, with age 100 and age 121 being the most used, depending on the company, plan and your needs. Single premium whole life requires one lump sum payment at the outset. A single premium policy is categorized as a Modified Endowment Contract (MEC) and loses some of the benefits mentioned in this article. However, if you are considering an annuity, a MEC might be a better route to take since you will have greater access to your money. Consult a professional who knows the difference between an annuity and a modified endowment contract for more. 10 Pay or 20 Pay Whole Life insurance requires payments to the policy over a period of years, i.e. 10 or 20. It can also go to a specific age, such as paid up at age 65. Consider a limited pay life insurance policy because you only have to pay premiums for a period of time but the benefits last your entire life. Whole Life also offers both participating and non-participating plans. Participating: Pays dividends to shareholders on excess earnings from investments. Dividends can be used for various options, including purchasing more coverage, cash out, leaving with the carrier to earn interest, or paying whole life insurance premiums. Alternatively, a universal life insurance policy can generate cash value. Three main types of universal life insurance are guaranteed universal life, indexed universal life and variable universal life. Guaranteed universal life focuses more on the death benefit than cash value. The benefit is you get lifetime coverage but you will not see robust cash value growth as you do with the other types of universal life insurance. Indexed universal life provides the potential for higher cash value returns due to the participation in indexed accounts that track the major stock market indices. You can receive interest crediting based on the indexed accounts performance, subject to the account’s participation rate and cap. Variable universal life allows you to directly invest in the stock market through sub-accounts that are similar to mutual funds. At TermLife2Go, we recommend participating whole life insurance or indexed universal life as the best investment vehicles for building cash value. Let’s talk about the guaranteed insurability rider for a second. The GI rider is an excellent rider on life insurance for children because it allows him or her to purchase additional life insurance throughout their life with NO proof of insurability, i.e. no medical exam or background check. So what that means is your kids can get a policy that protects their future insurability. And if you get the right policy design, the cash value can build and create a wonderful savings vehicle for use with student debt, large purchases (such as a first car), investment opportunities and future retirement income. Long term care life insurance is another important aspect of your coverage. You can choose a hybrid linked benefits policy or life insurance with long term care rider so that you have the added peace of mind knowing you have financial help if you ever need long term care. Long term care insurance provides an income benefit if you are unable to perform 2 of 6 activities of daily living. You can choose a cash indemnity or reimbursement benefit to help you cover long term care costs, such as in home care, assisted living or in a nursing home. State Law Protection for Cash Value Life Insurance. Many states have laws protecting cash values and death benefits of life insurance policies from the claims of creditors. Now, if your state provides such protection, this is a huge benefit for anyone who desires to insulate their retirement reserves from lawsuits, which typically allow creditors to reach other assets, such as bank accounts and mutual funds. Check with your local state regulations for more or click here for a great chart. Guarantees: Most cash value whole life insurance policies come with guarantees. These whole life guarantees provide a solid financial foundation on which to build your financial house upon. Consider the long term affects of a guaranteed rate of return on your “safe bucket” of money. This is money that you can put aside for a rainy day, such as being laid off of work, or for investment opportunities, such as the real estate market back in 2010. You can always sell it. If you come to a place where you no longer need the policy you can always sell it via a life settlement. Typically this means you would capture a settlement of more than your cash value and less than your death benefit. Now what that means is, if you choose the viatical settlement route you should start with a company that can help set up the transaction for you. A simple Google search for selling your life insurance policy will provide some alternatives. Like most things in life, things aren’t always that easy, and true financial advice can rarely fit on a bumper sticker! So if you would like to learn more about whether or not a Cash Value Life Insurance policy might be right for you feel free to give us a call today or visit our Life Insurance Quotes page and see what we can do for you! Thank you for reading our article, Cash Value Life Insurance. Please leave any questions or comments below. Nothing in this article, or website for that matter, constitutes an offer or solicitation of financial product advice and are not intended to constitute provision of investment, legal, tax, or other professional or financial advice. All content therefore should not be relied upon for the making of any personal financial decisions. We’ll have an agent reach out to you ASAP. So I looked into it. First of all with a cash value policy that cash value during my younger years, if I want to access is it a loan? I will have to pay it back with interest correct? Why would I want to pay into something to borrow my own money back? I also looked into coverage amounts. Although many people may feel that $150,000 is a lot of money that won’t even pay off all my debt. I need $500,000 to pay off my debt and because if I die what goes with me? My income… So my wife needs $500,000 in coverage as well for the same reasons. I was quoted at $213 a month just to cover me. She is quoted at $150 a month for a total of $363 a month. Wow that’s a lot of money for just $150,000 on her and $150,000 on me. I looked at getting term insurance for 30 years for the $500,000 on me and $500,000 on her and its just $108/ month. Now that’s $255/ month I wouldn’t be spending. So even if I just kept that money in my pocket I would save $91,800 over that time. But lets say I invested that $255 on my own for the next 30 years and got a very conservative rate of return of 3 %. I would have $148,000 in 30 years of my own money that I don’t need to borrow. So I am confused why is cash value so good? Hi Patrick. See our answers in bold below. So I looked into it. First of all with a cash value policy that cash value during my younger years, if I want to access is it a loan? I will have to pay it back with interest correct? Yes, you have to pay back a life insurance loan with interest. Right now that rate can be 5% or so up to 8%. Why would I want to pay into something to borrow my own money back? The advantages to a properly designed cash value policy are impressive in terms of taxes alone. However, as your cash value becomes more substantial you will also notice that your policy becomes more efficient. More efficient in the sense that every dollar you stick into it turns into more dollars. And that rate of return increases over time along with your death benefit. I also looked into coverage amounts. Although many people may feel that $150,000 is a lot of money that won’t even pay off all my debt. I need $500,000 to pay off my debt and because if I die what goes with me? My income… So my wife needs $500,000 in coverage as well for the same reasons. You can buy a convertible term life policy from a company that offers one of the top cash value policies, whether it be whole life or indexed universal life. You can find an affordable term life policy that covers for you for 20 years to be a good choice. If you decide that cash value is important down the road you can convert the policy with no proof of insurability. The idea here is that you get the coverage amount you need now with the option of converting all or a portion of that death benefit into a permanent cash value policy. Another option is to add a term rider to your permanent life insurance policy. The rider will drop off down the road as your death benefit grows. I was quoted at $213 a month just to cover me. She is quoted at $150 a month for a total of $363 a month. Wow that’s a lot of money for just $150,000 on her and $150,000 on me. I looked at getting term insurance for 30 years for the $500,000 on me and $500,000 on her and its just $108/ month. Now that’s $255/ month I wouldn’t be spending. Maybe. You have to factor in the price of term life down the road and how that plays into your estate planning needs. Personally, as I get older I want MORE life insurance, not less. The main reasons are spelled out in our article on infinite banking. So even if I just kept that money in my pocket I would save $91,800 over that time. But lets say I invested that $255 on my own for the next 30 years and got a very conservative rate of return of 3 %. I would have $148,000 in 30 years of my own money that I don’t need to borrow. I am a fan of Robert Kyosaki. One of his lines is that “savers are losers”. The idea being that the old buy and hold mentality is outdated. Just to keep up with inflation you need to get a return of around 4-5% (although some would argue it is double digits). With fees, market losses, and the anxiety associated with having all our money in the hands of someone else creates a recipe for disaster. Cash value life insurance is not a product as much as it is a lifestyle. It forces you to change how you think about money. It is a journey well worth the time and energy required. And it is no easy feat. It takes a lot of self-discipline to truly make it work. So I am confused why is cash value so good? Cash value life insurance is a good investment because it can be used as a haven for your money as you consider other ways to use your cash value to increase your means. The money sitting in your policy is gaining modest interest but it is safe from the ebbs and flow of the markets. Cash value policies are meant for those who desire to leverage their wealth and who understand how the velocity of money works. If you have a desire to keep you money moving, locating new opportunities, and maximizing your ultimate death benefit to create a lasting legacy then you should consider cash value life insurance. When are the Yearly Annual reports being sent out? I receive my report last year , so far this year I have not receive one, I have call and request one, as of yet I have not receive it yet. Please give me a reason for the delay. It sounds like you are trying to reach a particular life insurance company directly not TermLife2Go. We would suggest that you direct this question to your insurance carrier. Hello, I currently own Index Universal Life insurance $500k, monthly premium $300 for me 30 years of age. After I carefully read my policy, I found out 1: cash value do not start building up till after 3 years, 2: surrender charges will apply before 15 years, 3: no dividend or guarantee interest rate since index option has floor ground 0% and cap top at 15% , now I’m cautious if I made a wrong choice instead owning of whole life policy. Thank you for reaching out to us regarding your current policy. You may have a great policy or you might need something more in line with your personal goals. In order for us to make the proper recommendation we need to find out what your specific goals are and what you ultimately want the policy to do for you. Please be on the lookout for a follow up email from one of our agents shortly. You would need to contact the insurance company who issued your policy in order to determine whether or not it has accumulated any cash value. Great article on the benefits of cash value life insurance. Thanks for the compliment, we’re glad you enjoyed it! Next Post: Purchasing Life Insurance After Being Diagnosed with Buerger’s Disease.